Do you think you are saving enough money? If you are like the vast majority of American’s my guess is the answer is no. A full 2/3 of Americans can’t cover a $1,000 emergency. To combat this I see all sorts of gimmicky money saving challenges on Facebook, that usually lead to you saving a few hundred bucks over the course of the year. There’s the dime challenge where you fill a 2 liter bottle with dimes, which should be around $700 at the end of the year. There’s the weekly challenge where you save $1 in week 1 , $2 in week 2, and $52 in week 52, which adds up to around $1,300. I thought I would introduce a better challenge that is more likely to result in some real changes, substantial changes that are more akin to “lifestyle changes” vs. “fad diets”. Introducing the Quarterly Savings Rate Challenge. The goal of the quarterly savings rate challenge is to track your income and expenses, and every quarter find ways to increase your savings rate a little at a time. Have you ever drilled a large hole into metal? You don’t just start with a 1″ bit, you slowly step it up. 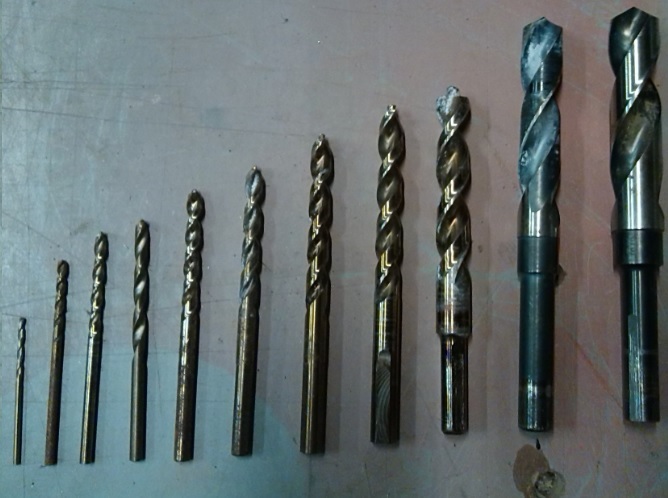 First you drill a small hole through the material, then you switch bits to a slightly larger diameter, then another, then another, until you get to the desired size. This allows each bit to work more efficiently, because it is being asked to do less heavy lifting. This is the concept of the quarterly savings rate challenge, incremental changes to ease into a high savings rate. Increasing your savings rate is the main factor in determining how long it will take to reach financial independence. Quarter 1: Punch the hole: Make a written budget of all your income and all your expenses. Find 5% in the budget to get you started. Also make a list of all your assets and all your liabilities to start tracking your net worth. In some ways this is the most difficult step in the whole process because it takes a decent amount of time and effort to sit down and figure out where your money is going. Quarter 2: Expand to a 10% savings rate: Now that you have a budget and have started saving money, find a few more places to save money. Most of us have “zombie expenses” that we don’t even think about. That gym membership that we haven’t visited in 5 months, that extra junk that gets thrown in the cart at the grocery store, and that extra night of fast food every week. There are of course dozens of other little expenses you can find that won’t affect your life too terribly much to cut. Quarter 3: Expand to a 20% savings rate: Your largest wealth building tool is your income. If you increase your income by 10%, which for an average worker would be just 4 hours per week, you can increase your savings rate by 10% as well. Challenge yourself to work a few extra hours, either for your current employer or on a side job, and bank every cent of it. You will find that working an extra 4 hours a week isn’t that much and doesn’t cut into your life dramatically. Quarter 4: Expand to a 25% savings rate: At the end of year one you are ready to shoot for a 25% savings rate. Most likely because you are already saving all of this money, and presumably are putting it into tax advantaged accounts, the tax savings you get from the money you are already savings will bring you another 5% in savings! If you married and combined earn $50K and are saving $10K (20%) in a tax advantaged account (HSA/IRA/401K) you will receive an approximate tax break of $1,500 by being in the 15% tax bracket, and in most states will receive a tax break on state income tax as well. In Michigan this would be $425. But that’s not all….You will also receive a retirement savers tax credit valued at $800. This total tax savings of $2,725 is over 5% and you didn’t have to find any more room in your budget. This 5% of extra savings came from your savings….pretty cool huh? You should fill out a new Form W-4 to reflect these extra retirement account contributions, which will then give you this money back on your check every week by not taking excessive taxes out. Congratulations on an awesome year! You are now in control of your money and are saving FAR more than the average American. You are already saving enough for a comfortable retirement in 30 years, but why stop there? I bet you can do better. Enter Round two of the quarterly challenge and build wealth like a champ. Quarter 5: Expand to a 33% savings rate: Cut expenses further, challenge the big items in your life: Your house and your vehicles. I’m not necessarily saying sell them, but if one of your vehicles has a payment on it, that needs to go. Either pay it off with some of the money you are already saving, or sell it and buy a less expensive car. Sorry I don’t buy the “I need a reliable vehicle” excuse to be driving around a $30,000 truck. A $5,000 car is easily just as reliable. (I have a $1,000 car that has been reliable for 2 years running now). If you cut a car payment you can also cut full coverage. With all the saving you have been doing you should be in a good position to lower your insurance costs. One big cost saving thing we do is pay 6 months in full. We also have a $2,000 deductible. Moving to minimum coverage with a high deductible and paid in full for 6 months should drop your car insurance substantially….Now about that house. What interest rate are you paying? Check out my mortgage spreadsheet and see if you can save some money by refinancing . I had a house on a 15 year loan at 7.37%. When I refinanced to a 10 year 3.5% loan I saved around $100 per month on a $30,000 loan. Not bad for 2 phone calls, a couple hours tracking down documents and a 30 minute closing meeting. Quarter 7: Expand to a 40% savings rate: If you’ve made it this far, then you are in it to win it. For the past year you’ve been working around 4 extra hours per week, is it killing you? I didn’t think so. We all have 168 hours to start with. If you split your week evenly between sleep, life, and work, that gives you 56 hours for each. Working closer to 50 hours a week will get you within striking distance of 40%. Have you asked for a raise this year? Being the all star that I know you are I bet your employer would do just about anything to retain you. Ask for a couple extra bucks an hour and throw that money into your savings. Quarter 8: Expand to a 50% savings rate: Depending on how much of a raise you negotiated last quarter you might be pretty close to 50% already. We already tackled housing, transportation, and taxes, so the two major categories we have left to save money in are groceries and insurance. Shop sales and comparison shop between multiple stores. If you have a Save-a-lot or Aldi’s in your neighborhood you could potentially save over 25% on your grocery bill. On Insurance, since you are now throwing closer to $25,000 into tax advantaged accounts, your taxes are staying low, but all those contributions do something else important too, they reduce your AGI, which is the number used to determine your Obamacare subsidy, and thus your cost. If you haven’t evaluated your options in a while, check out healthcare.gov and compare plans. You may be able to save a couple hundred bucks a month, especially if you go with a high deductible healthcare plan. Congratulations you are the REAL 1%. You are a freakin unicorn in America. NOBODY saves half their income! It’s hard to imagine that 2 years ago you were living paycheck to paycheck. Small incremental changes make all the difference. Keep up with what you are doing and in a few short years you will be sitting on an amazing pile of wealth. Are you ready to take the Quarterly Savings Rate Challenge? 5 Responses to "The Quarterly Savings Rate Challenge"
I like the idea of incrementally increasing savings in a way that actually yields results. The “put all your dollar bills in a jar” strategies are so not my thing. I think it would be hard to steadily increase during the last couple quarters, but staying aware and striving to do better is always good! What a unique take on a savings rate challenge! I like the focus on quarterly goals, it is enough time to see results but short enough to keep motivated and on track more easily. Nice article. One quibble: I’m not sure if you were saying that increasing income by 10% (and saving it) would increase savings rate by 10%, but if you were, that wouldn’t be correct. For example, if someone starts at earning $60,000 saving 10% which is $6,000, then they increase income by 10% and save it, now they earn $66,000 saving $12,000. The original savings rate is 10% and the new one is 12/66 = 18.2% (roughly). For a more extreme example, if you increase your income by 100% and save it, clearly you cannot add 100% to your savings rate. true, the math is correct on the increase of total dollars, not total % of new income, thanks!